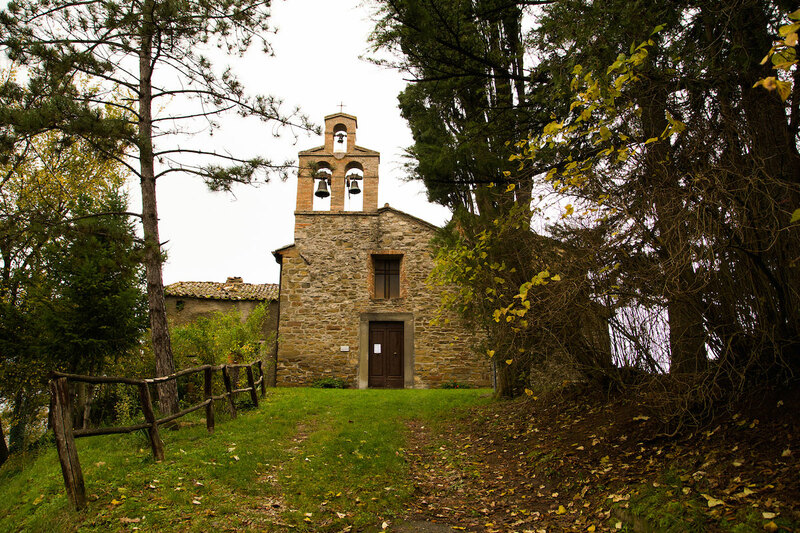 Two kilometers from the historic center of Monterchi, on the ridge road, stands the church of Lombard origin, dedicated to St. Michael, the archangel warrior who fights the evil. The interior has some very ancient architectural elements such as the four figured corbels that supported the vault of the presbytery and two elegant Gothic arches of the right side, recently reopened. 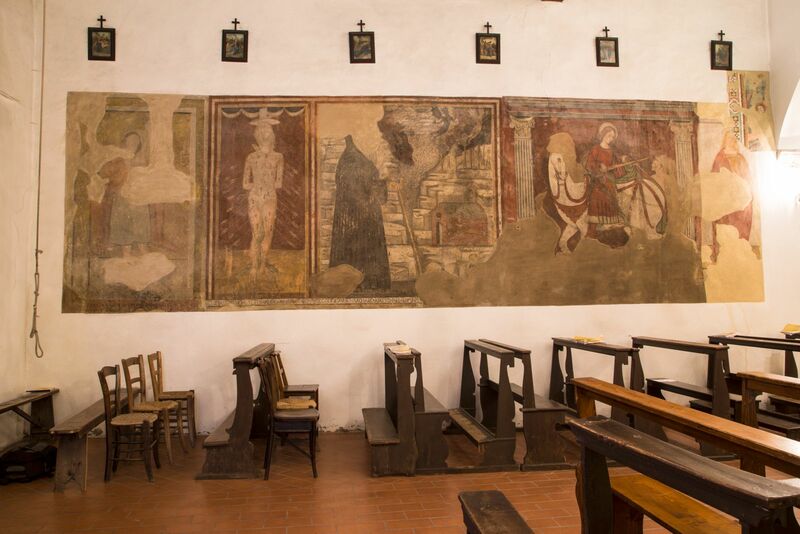 The left wall is completely covered with frescoes dating back to the period from the end of the fourteenth to the sixteenth century, including a St. Martin and St. Michael slaying the devil. Also visible are many fragments of fresco of the Spinelli’s school. 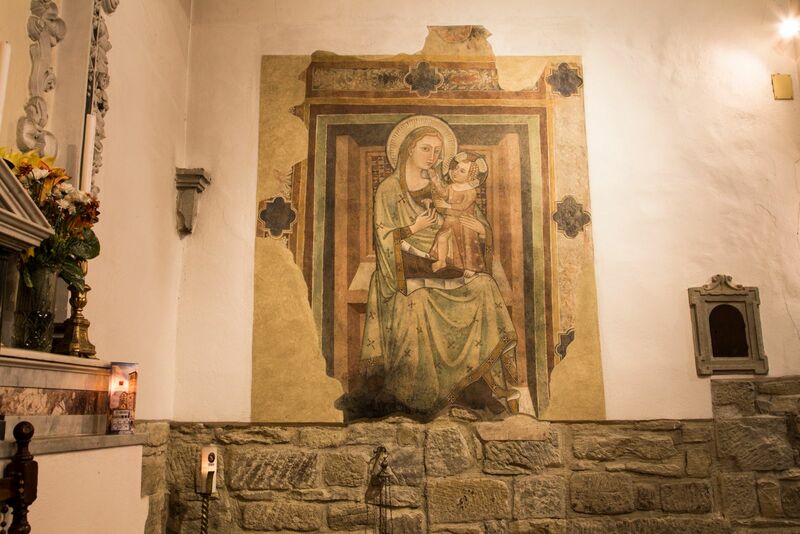 On the right wall is preserved a beautiful Madonna Enthroned with Child of the first half of the fifteenth century. 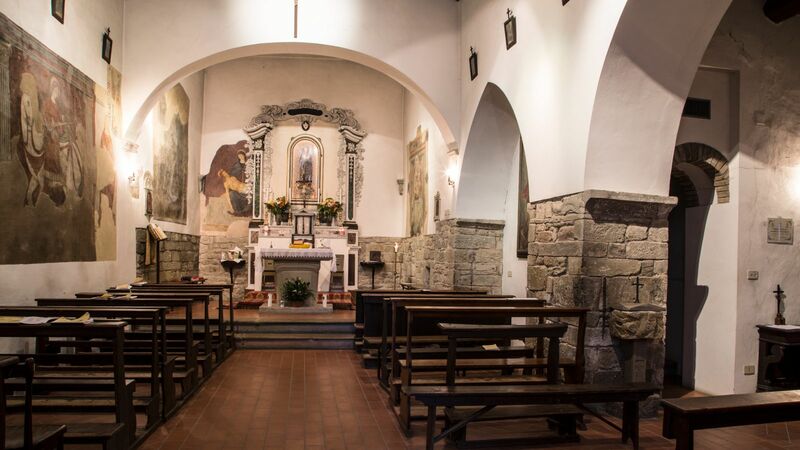 Also interesting is the Romanesque altar, made of stone, dating from the eleventh or twelfth century.